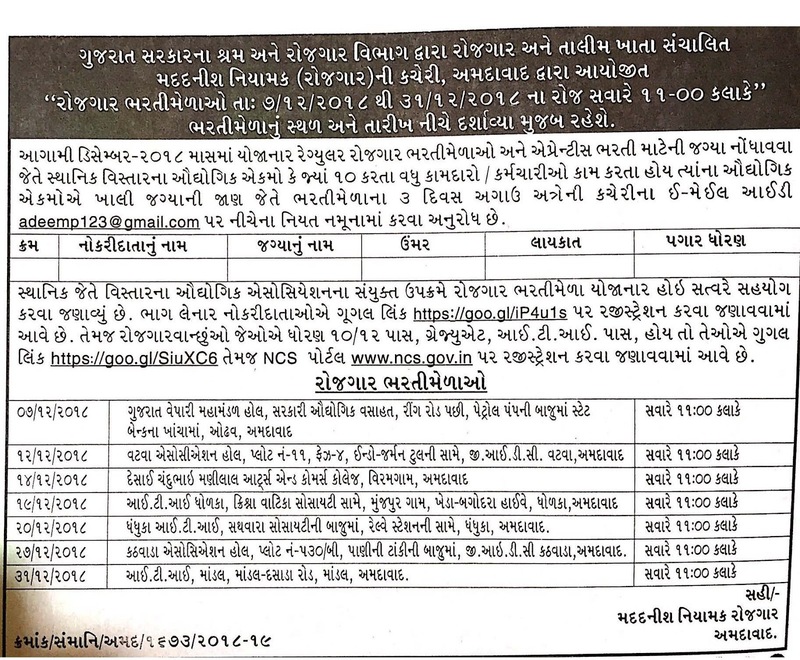 Ahmedabad Employment and Training Department has published Advertisement for below mentioned Posts 2018. Other details like age limit, educational qualification, selection process, application fee and how to apply are given below. 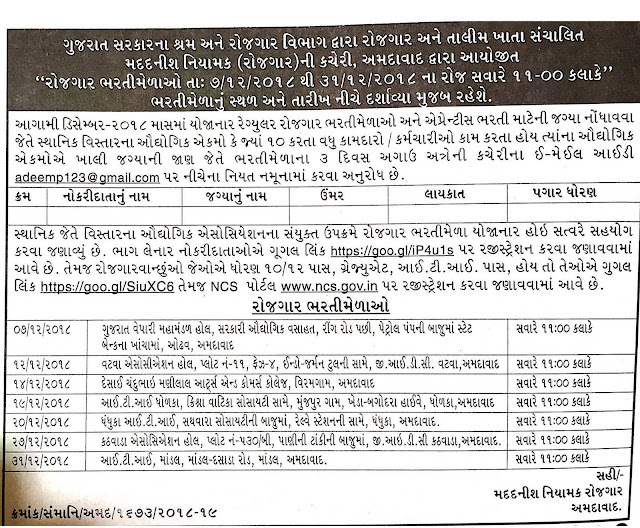 0 Comments "Ahmedabad Employment and Training Department Apprentice Rozgaar Bharti Mela"